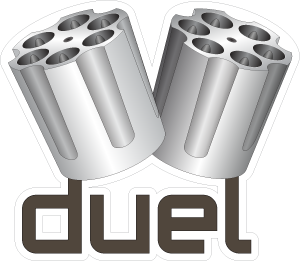 DUEL is a set of components for building web applications utilizing a JVM-based environment. These components can be used à la carte or as a complete framework. DUEL Merge provides compile-time optimizations for deploying compact and long-cacheable client resources. DUEL MVC builds upon JAX-RS to create a full-featured front-end MVC environment. DUEL: templates compiler, runtime, & static-app generator.